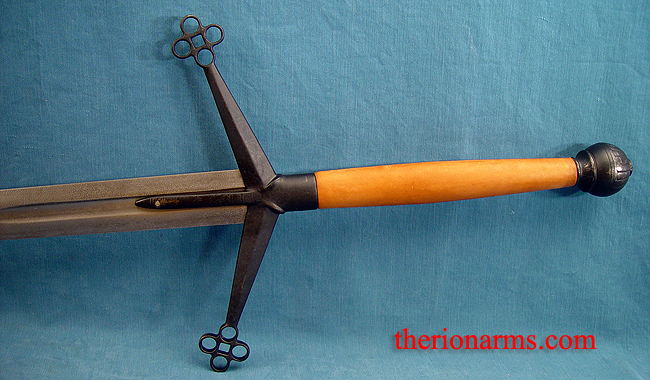 Mainstay of the Highland warriors of the late 16th and 17th centuries, the claymore had a uniquely styled hilt that sets it apart from other great swords of the period. 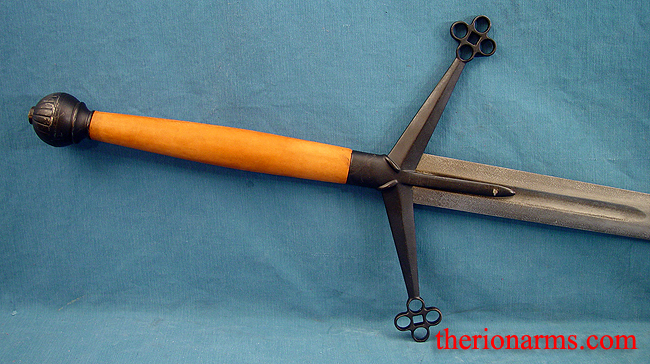 Typically of hand-and-a-half length, this versatile weapon could deliver great sweeping slashes or powerful thrusts. 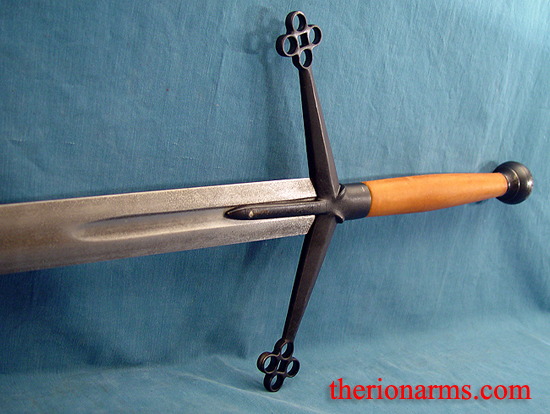 Replicated from a surviving museum piece, this is classic in its design, with distinctive sloping quillons terminating in quatrefoils and a high-collared quillon block with langets following the blade fuller. 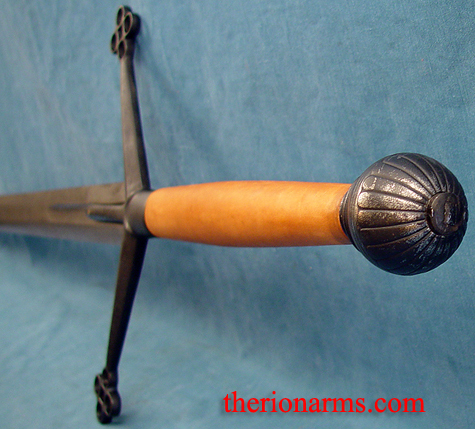 Brown leather handle with antique black finish guard and globate pommel.